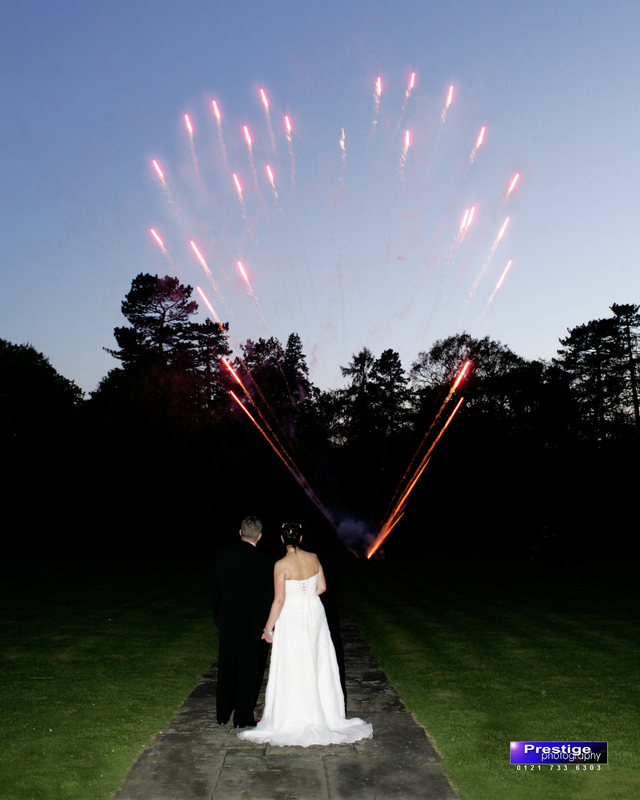 Solihull Fireworks have designed and now offer a whole range of exciting wedding fireworks packages unique only to Hogarths customers. 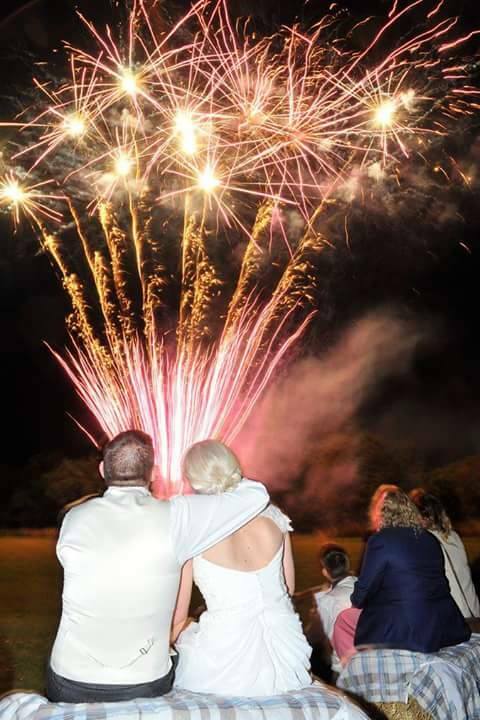 After providing many wedding fireworks displays for hundreds of receptions at Hogarths Hotel for well over twenty five years (formally The Moat Manor) our experience allows us to know that this is a fantastic venue for fireworks. 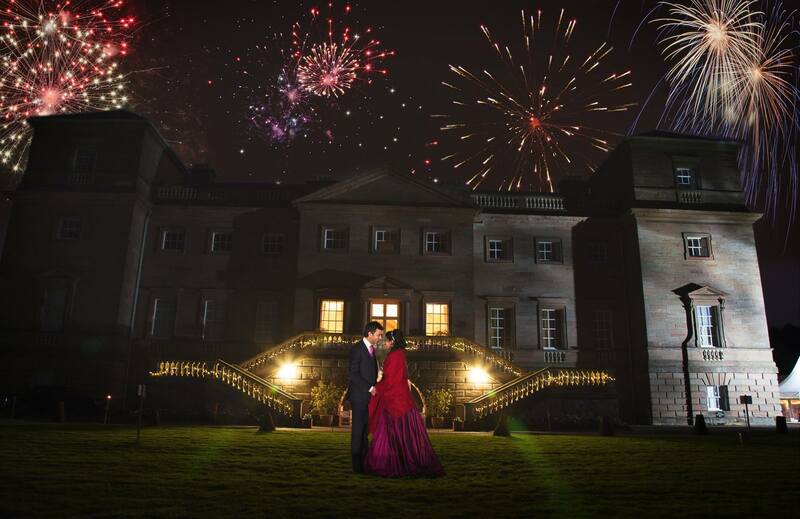 Our shows are always very well received with our bride and grooms and their wedding guests and will compliment your evening celebrations even further. 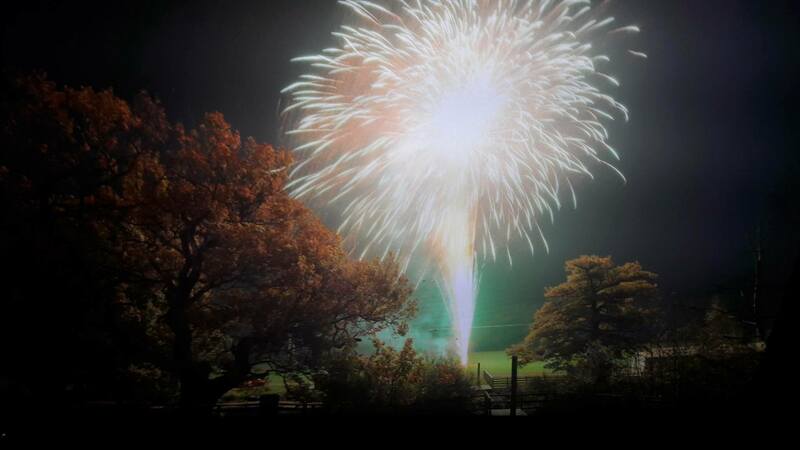 Hogarths Special Package 1: £760.00 – A traditional fireworks display fired from several points lasting around 4 – 5 minutes. 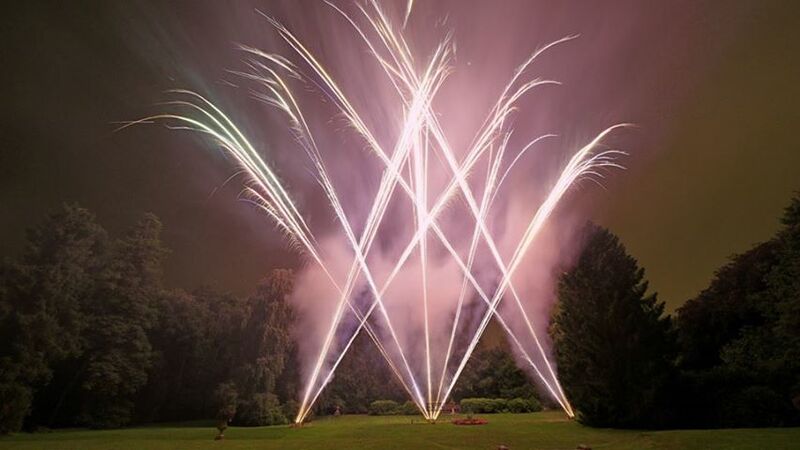 A mixture of multi shot barrages, fountains, mines, roman candles and a stunning starburst finale. Hogarths Special Package 2: £1200.00 – Fired from several points lasting for around 6 minutes with a sky filling starburst finale. Use of multi shot barrages, fountains, roman candles and mines. Hogarths Special Package 3: £1500.00 – Fired from several points, to your choice of music if desired lasting around 7 – 8 minutes. Use of traditional fireworks as above, but this show includes some breathtaking fireworks from Italy and Spain which are premium quality fireworks used in competitions. Fired by computer for enhanced viewing pleasure. A stunning show at a budget price! Hogarths Special Package 4: £2000.00 – Fired by computer to your choice of music if desired over around 8 – 10 minutes to include traditional and premium quality fireworks. This show is designed to competition standard and is simply stunning. 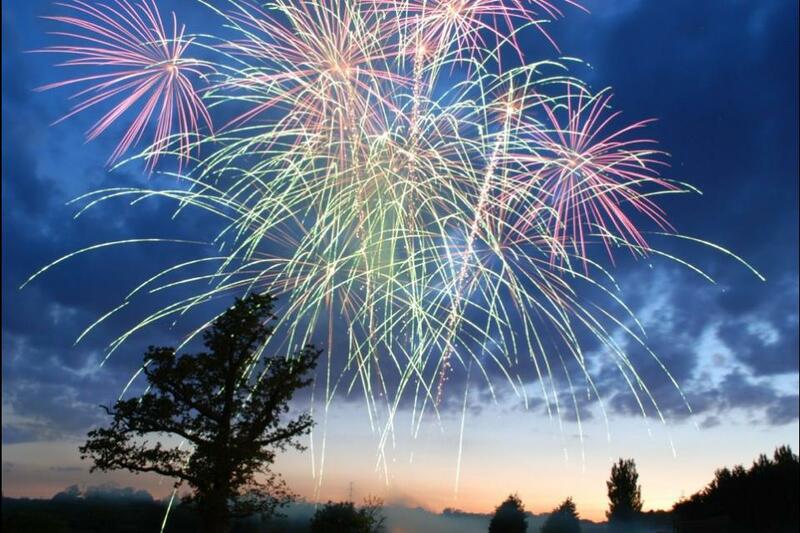 Larger budget displays: If your budget for fireworks allows you to exceed our 4th Hogarths special package Solihull Fireworks can design your very own bespoke display to take into consideration any particular requests or ideas you may have. Please call our office for more information and the many options open to you. A traditional fireworks display fired from several points lasting around 4 – 5 minutes. A mixture of multi shot barrages, fountains, mines, roman candles and a starburst finale. The following display extras compliment the above packages. Finale upgrade – £130.00: Enhance your finale with additional sky filling starbursts and even choose the colour for your grand finale. Red heart and glowing initials – £165.00: This set piece is made at Solihull Fireworks and is a great way to personalise a fireworks display. Can be made in a choice of colours. Champagne bottle that pops its cork – £165.00: This large champagne bottle lights up before firing its cork into the night sky and fizzes champagne up into the air! A great novelty piece to either start or finish a fireworks performance. For more information about our professional firework displays, please call us on the office number 0121 733 3555, email us via our online form or why not visit us at our all year round fireworks shop.